Performance artist and comedian Patrizia Paolini is bringing her popular Phantasmagoria Cabaret back to Hoxton Hall for the third time in March. The genre-defying evening will “throw curve balls in the form of mime, puppetry, eccentric theatrics and a good dollop of live pop music”, according to a spokesperson for the venue. 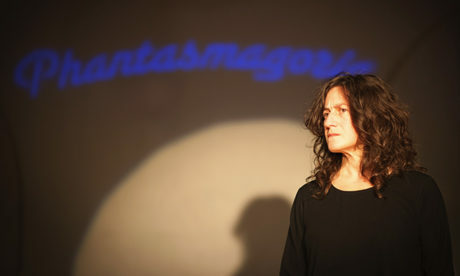 Paolini originally devised Phantasmagoria in 2013 as a standalone showcase for female comics and observations about identity. Following a successful first outing at Battersea Arts Centre, it has since evolved to incorporate other artists. Paolini now sees it as a “framework providing consistency for what is now an ever-changing show”. She adds: “I value live performance that engages imagination and opens undiscovered paths to your emotions, that entertains you in a way you never knew. Through her alter ego Jesus Paolini Park, and her performance collective JPP Boys & Girls, the Italian aims to make entertaining, intelligent and unconventional theatre which contravenes any formulae. Paolini has added some special guests to the Phantasmagoria roster this year. Sydney-born Nola Rae is an internationally renowned mime artist with an MBE to her name. She trained at the Royal Ballet in London and danced professionally before turning to mime, studying with the legendary Marcel Marceau in Paris. 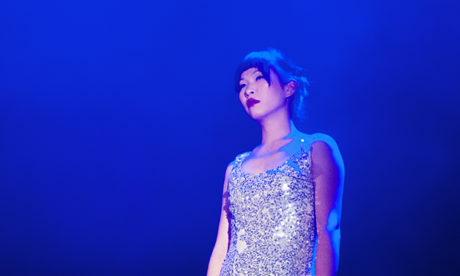 Hoxton Hall says her “unique performance mix of mime, dance, comedy and puppetry, reaches out and touches audiences at all levels”. Joining her is the curiously named Parenthesisdotdotdot, who creates “very clever pop music”. Actress Katie O’Brien also debuts her acclaimed one-woman comedy show, and Phantasmagoria regular, Julian Fox, returns with his own brand of comedy. Fox began his career as a stage-door keeper at the Barbican Centre, where he was inspired to start writing. He has since created five one-man shows including A Slackers Opera, which he performed at the Barbican Centre, and Rebranding Mr God, which got a nod in the Guardian’s alternative Perrier Awards. Ms Paolini’s Phantasmagoria Cabaret returns to Hoxton Hall on Saturday 2 March at 7.45pm.